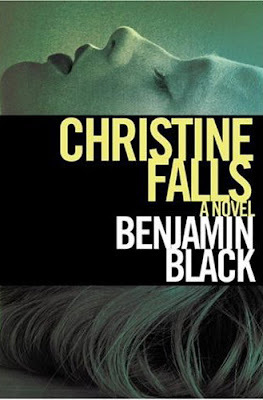 "Benjamin Black is really Booker Prize winner John Banville, and Christine Falls is his inaugural volume in a crime series starring Quirke, a lonely, hard-drinking Dublin pathologist." I have gone back and forth on this one for the last week. I saw it at the airport, I think, but for the life of me can't remember who designed it and if it had spot-varnish on the title (I think it did). I don't read crime books, and I'm sorry to say I don't look at them all too much either. So I'll let you tell me: is this a particularly good crime title? Or just a few steps ahead of what I'm assuming is a pretty cookie-cutter approach to the genre? I don't know the genre, but I dig the colors. I don't know. Typically, the things I've seen in the genre have been hokey or just injcredibly obvious. This feels like a nice treatment. I don't love it, but it does speak to me. It is designed by Lisa Fyfe.